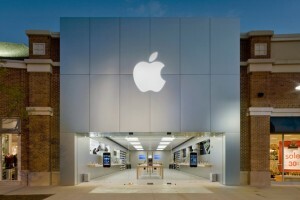 Apple Inc. (NASDAQ:AAPL) beat on both top- and bottom-line expectations. iPhone and iPad sales came in ahead of expectations, and Mac sales — though down — were much better than the steep decline in PC numbers. China continues to play an increasingly important role. The company has more than doubled its capital return program, devoting $60 billion to share buybacks and upping its dividend by 15%. While I agree with Evan on the positivity of all of these points — and as a shareholder, I’m glad to see money being returned — there’s still a central concern that’s left unattended to, and because of it, Apple Inc. (NASDAQ:AAPL)’s earnings really haven’t changed a thing for me. Let’s take off our bean-counting hats for a second and remember what made Apple Inc. (NASDAQ:AAPL)’s resurrection over the past decade make us all stop in our tracks and wonder in awe at their products: They were so simple, so useful, and so addictive that once we used them, we couldn’t understand how we survived without them. First it was the iPod, then the iPhone, and finally the iPad — with upgrades to Macs all along the way. Sure, Steve Jobs cared about the numbers, too, but in the end, it was all about creating things that we connected with on a visceral level. That’s why Apple Inc. (NASDAQ:AAPL) was able to so quickly unseat Research In Motion Ltd (NASDAQ:BBRY), and why Nokia Corporation (ADR) (NYSE:NOK) — once the king of cell phones — has seen its market share slump so incredibly between 2007, when the first iPhone came out, and 2012. When I originally invested in Apple, it was because the company was so clearly light-years ahead of the competition in terms of innovation. That simply isn’t the case anymore. The competition has caught up, and over time, that’s going to create some serious margin contraction.